Discussion in 'Pin Trading' started by timeerkat, Dec 20, 2018. These are mine for trade. Not looking to complete the set, so will trade for any you have extra. Would you trade elephant Mim for chicken Mim? Yes, I will message you. I have the Merlin Caterpiller for trade. Would you trade it for either the Merlin Walrus? Yes I can do this trade. 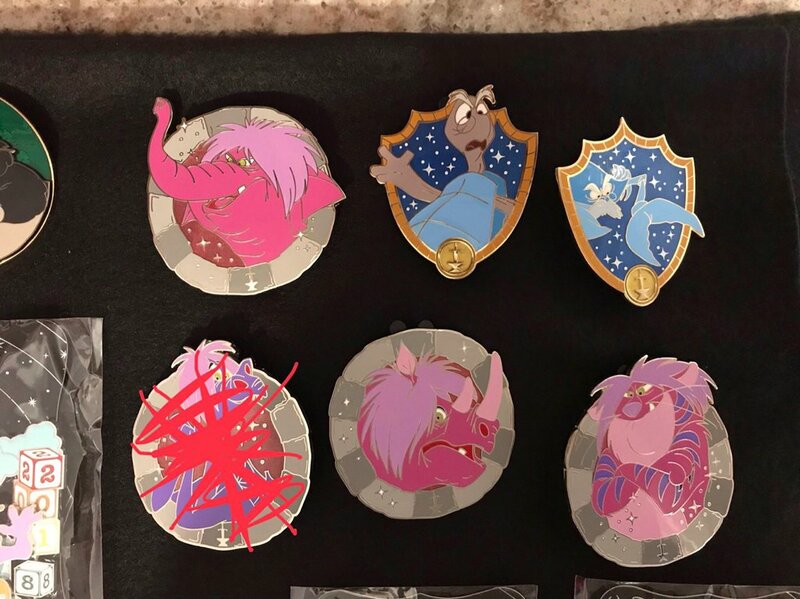 I'm making great progress, thanks to @pins4twin for my most recent trade! I have an extra Mim Green Dragon Chaser. Would you want to trade it for the Mim Purple Dragon Chaser? Also, I need the Rhino Mim. I have the Rabbit Merlin for trade. What do you think? I knew I should've updated this. Im so sorry! I only have one rhino mim and two caterpillar merlins left. If you're still okay with the rhino mim I'm game to trade for the rabbit! That would great. I'd love to trade a rabbit for the Rhino Mim. I have the elephant, rhino, and tiger. 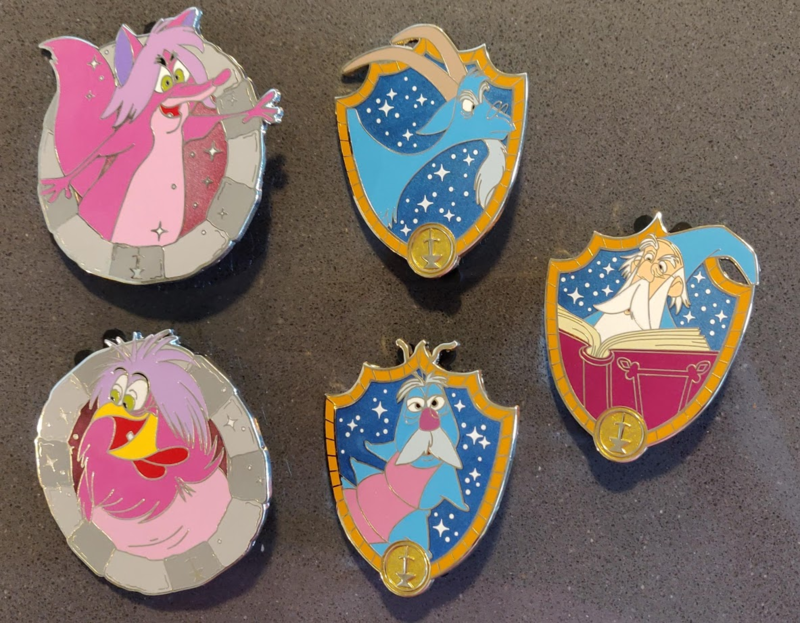 Will take any duel pins in return, but would not like duplicates. Would you trade the elephant and tiger for the Merlin rabbit and caterpillar? I just traded away the elephant, but I would trade the tiger for a Merlin. Would the Rabbit Merlin be okay? Yes, that would be okay. I will PM you. Completed my set and I have extras if anyone needs. I can trade a caterpillar for a rhino if this is still available? Would you be willing to trade a caterpillar Merlin for the crab? Ok. I thought you needed the caterpillar. Good luck in your search. How many more do you need? I have to check to see if I have the crab Merlin. If I do I will pm you and we can trade. Sounds good. What do you have to trade? 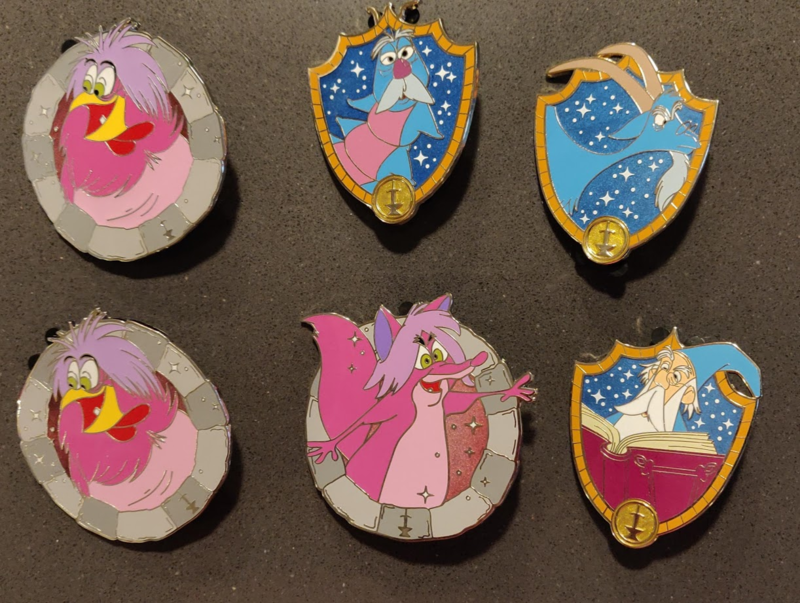 Would you want to trade for another Wizard Duel Pin? I have the caterpillar as a spare. My set is complete so I am willing to trade for other pins not in this set.